RENTON, Wash. — NASA announced yet another launch delay for the James Webb Space Telescope June 27, pushing the flagship observatory’s launch to no earlier than late March 2021 while breaking a cost cap set by Congress. NASA said it was now aiming for a launch of the telescope on March 30, 2021, nearly a year later than the May 2020 date that the agency announced three months earlier. That date came after a delay announced last September that moved the mission’s launch from October 2018 to the spring of 2019. NASA also announced a new development cost estimate of $8.8 billion, which is 10 percent above the $8 billion cost cap established by Congress during a “re-plan” of the mission several years ago. The overall lifecycle cost of the mission, which includes operations after launch for at least five years, is $9.66 billion. The new development cost breaches the cost cap, which will require Congress to formally reauthorize the mission. NASA Associate Administrator Steve Jurczyk said in a media teleconference that the agency had filed a final breach report with Congress earlier this week because of both the cost and schedule slip and would seek formal reauthorization as part of the fiscal year 2019 appropriations process. “I think it’s too early to really give an exact sense of what’s happening there,” said Thomas Zurbuchen, NASA associate administrator for science, of congressional reaction to the latest delay. He said his meetings gave the impression that Congress thought the science of JWST was still compelling, but it was premature to further assess the mood on Capitol Hill. Jurczyk said NASA would need $837 million in additional funding in the “outyears” beyond 2019 compared to the administration’s fiscal year 2019 budget request published in February. The agency is currently working on its fiscal year 2020 proposal, he said, but didn’t indicate how much additional funding he expected NASA would need in 2020 versus later years. The revised schedule and cost came after the completion of an independent review board that NASA chartered in March. That report offered about 30 recommendations that NASA had accepted to revise the development of JWST and its oversight of work at prime contractor Northrop Grumman. Another factor was a problem discovered during an acoustics test at the end of April that caused fasteners in the spacecraft’s sunshield to come loose. That has caused a delay “something in the neighborhood of” six months, he said, to study the problem and retrieve fasteners that came loose inside the spacecraft. 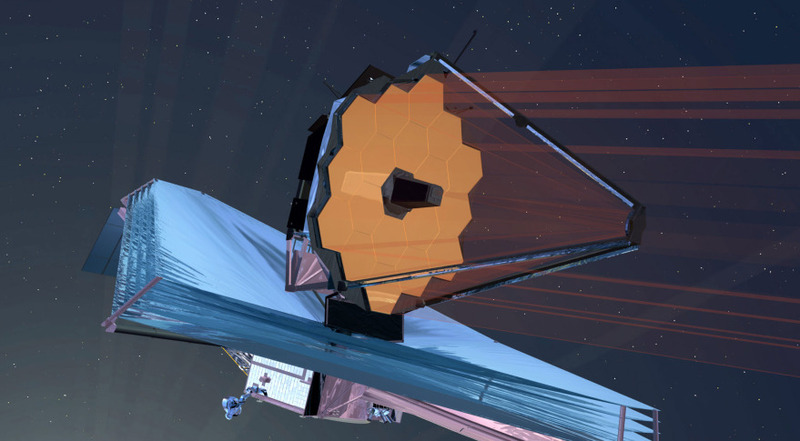 The two-and-a-half-year delay in the JWST has five root causes, Young said, including human errors, embedded problems, lack of experience in new technologies like the sunshield, excessive optimism and systems complexity. One such example of human error was damage to spacecraft valves when workers used the wrong solvent to clean them, having failed to check with the vendor. Such human errors, he said, accounted for 18 months of schedule delay and $600 million in additional costs. Maintaining the new schedule requires implementing measures to minimize human errors and to identify other embedded problems with the spacecraft, according to Young. “If the recommendations on human errors and the recommendations on embedded problems are rigorously implemented, which I expect they will be, then I think we have a very high probability” of preventing problems that would have a significant schedule impact, he said. Young, though, said that there was no reason to reconsider flying the mission at all. “JWST should continue because of the compelling science and because of JWST’s national importance,” he said.